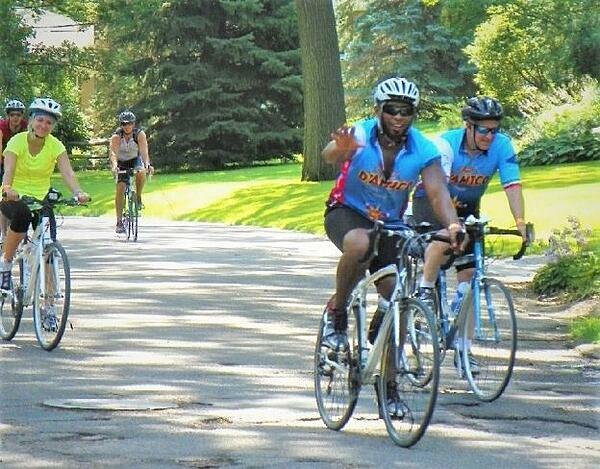 "Well, we just finished our 19th Tour D'Amico, and had record high participation. We also sold a record number of jerseys. We're feeling pretty darn good. This was our second year with imATHLETE, as well as my second year leading the Tour. From my perspective, it has been a very successful partnership. Your program is meeting our needs. I am thankful for the benefits we received over the past 2 years, and the wonderful, responsive customer support we receive from your team. Thank you!" I couldn't wait to reach out to Greg to talk more about how they nearly doubled the number of riders for the July 4 Tour D'Amico (www.tourdamico.com). 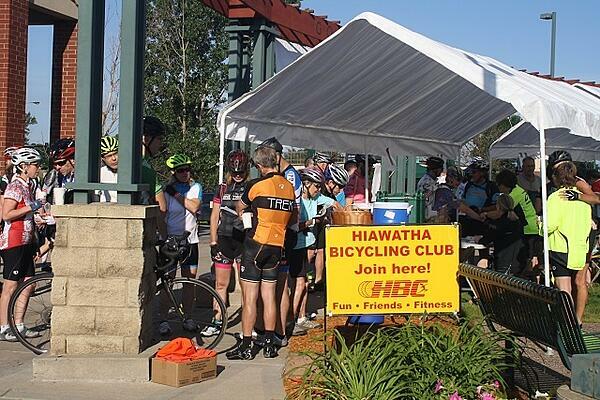 The ride takes place in the Twin Cities area (Minneapolis–Saint Paul, MN) and is organized by the Hiawatha Bicycling Club. How did the event come to be associated with D'Amico and Sons restaurant? What is a favorite food of the riders? D'Amico and Sons Italian restaurants has a number of locations around the Twin Cities. One of them is located in Edina, a Minneapolis suburb. 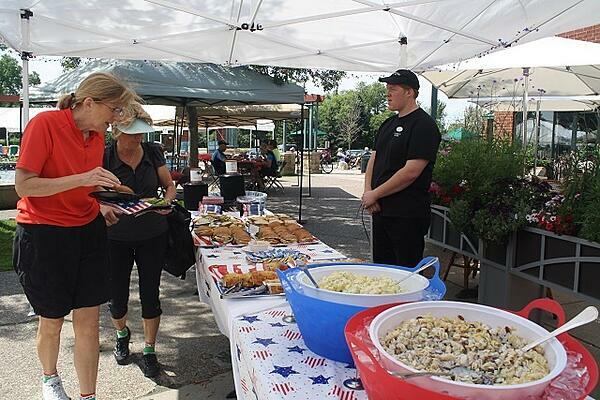 It so happens that a number of our members live in that area, often meet for rides nearby, and discovered that D'Amico and Sons is a wonderful place to convene after a ride for food and refreshments. A favorite food is just about anything on the menu. The personal size pizzas are a big hit, as our their many pasta and salad dishes. It's hard to go wrong! I was a very casual rider throughout my adult years. I would rarely ride more than a few miles at a time, usually in conjunction with family or a local sporting event. When I retired seven years ago, I decided that I wanted to be more active. I discovered HBC, purchased a road bike, and have not looked back. I ride a few thousand miles per year. I have done some multi-day events. A highlight this year was traveling to Texas in February and riding for a week in Texas Hill Country, with riders from around the country. What led to you taking on the role of event director? It was less stressful to take the role than to think of reasons why not to! More importantly, after enjoying all of the benefits of belonging to our club for the past 6 years, I felt that it was important for me to make a significant contribution back to the club. Ridership for the Tour D'Amico nearly doubled from last year and a record number of jerseys were purchased. To what do you attribute that increase? I sure wish we knew. We did step up our marketing efforts, via local bike shops, Facebook, and other online advertising. Word of mouth seems to be quite effective. Frankly, the fact that July 4 fell on a Wednesday might have resulted in more people being in town for the holiday. However, the weather was bad this year, and that probably kept some people away. We do get quite a few repeat attendees, and I believe that using imATHLETE for our second year in a row has helped with retention. I think we hit the jackpot with this year's jersey design, created by the D'Amico and Sons graphic design firm. We said that we wanted something 'fun'. They came back with a very colorful jersey featuring local landmarks encountered during the tour. Also notable is that kids under 18 ride free with a parent or guardian - a great way to encourage families! 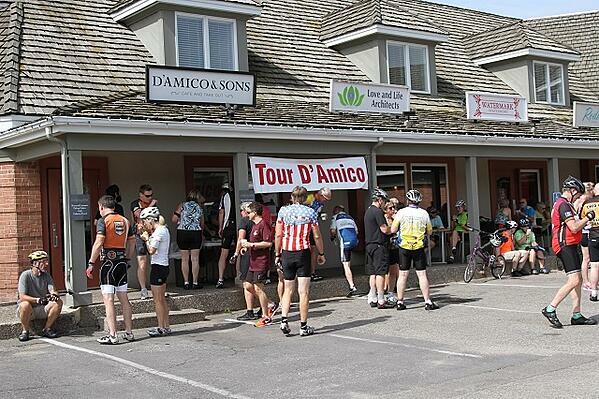 How do you spread the word about the Tour D'Amico? We place flyers in all of the local bike shops, and try to hit many coffee shops as well. We place notices in all of the various online event calendars that we can. We pay for some advertising in biking publications. D'Amicos and Sons helps promote our event in their restaurants, and via email blasts. HBC does an email blast to anyone who has opted in to our emails. Given that our event has been occurring for 19 years, it's likely that most Twin Cities bicyclists are aware of our tour. 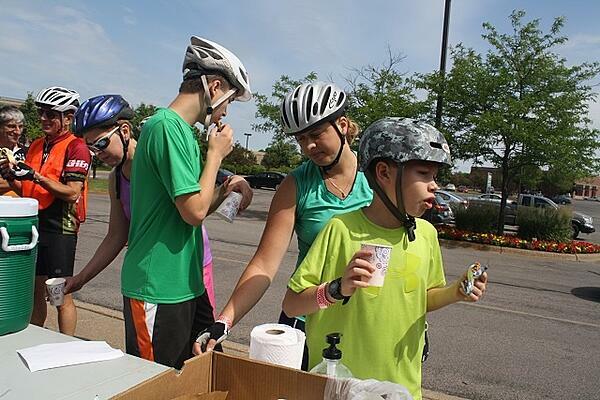 This year, we tried to attract more families and novice cyclists by offering a new, short 20 mile route that is mainly trail-based. What do you most enjoy about leading and organizing the Tour? The Tour energizes our entire club. I have 10 team leaders who are each responsible for various aspects of the tour, such as rest stops, maps, road markings, etc. In addition, we have about 60 other volunteers who contribute to the team leads. 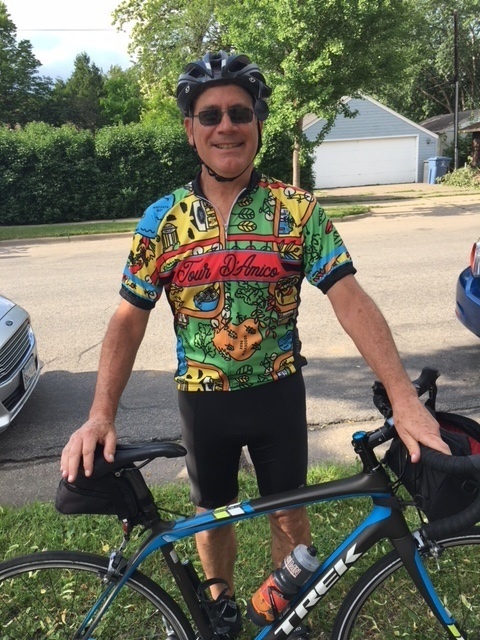 So it really is a wonderful opportunity to engage a large segment of our club, and do something helpful to the club, and to the Twin Cities bicycling community. We donate a large part of our proceeds to various bicycling organizations, such as MN Bike Alliance, Three Rivers Park System, etc. Finally, seeing hundreds of excited cyclists show up early on the morning of July 4, and happy, tired faces at the end of the ride, is very gratifying. What was your biggest concern about the tour? The biggest concern is always the weather. For the first time in 19 years, we got hit by bad weather this year. A big storm rolled in after most riders had started the ride. One of our tents blew into a water fountain. Things cleared up in about an hour. Riders returned wet and muddy, but still happy! What an amazing bunch. 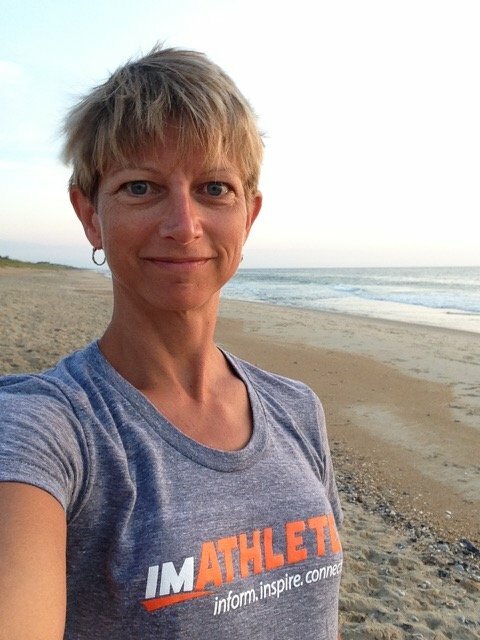 What do you most appreciate about imATHLETE? Well, our team has seen many benefits with imATHLETE. I'm the person responsible for setting up the configuration of our event in imATHLETE, and then opening registration. I think imATHLETE is very intuitive and easy to use. The functionality is very rich. Adding merchandise was a breeze. Since this was our second year, I was able to simply copy last year's event, apply some tweaks, and we were good to go. The reporting is excellent, especially participant details. I believe imATHLETE is just as easy to use from the participant end. We include the imATHLETE link in our emails and on our HBC website, and all it takes then is a simple click to get started. From there, completing registration is easy. What advice would you have for a first time-event director? How many bikes do you have? Do you name your bikes? I have four. A 1970's Schwinn 10 speed, a hard shell mountain bike that I used for 20 years for casual riding, my prized Trek Domane carbon-framed road bike, and a recently purchased Trek Farley fat tire bike with studded tires....now I can bike year round! No, I don't name them. That'd be weird. As we wrapped up, we asked Greg about the handoff to the new event director. He said he is happy to be a resource and that he would be happy to stay involved on the registration/imATHLETE side of things. As a former IT project manager, he confessed to enjoying the data, the downloads, and the Excel work. But then again, who doesn't love a spreadsheet!? Photo credits: Top image courtesy of Greg Swanson. Other images from havefunbiking.com/tour-damico-july-4th-bike-ride.